Two episodes a week, for about a month and a half. That's how it's done in Korea. And then it's over. So different from here! And it ended this past week and I'm so so sad. I looked forward to those episodes every week like... like... I don't know what.... candy? Ice cream? Air? Yes, it stars my favorite guy... Lee Min Ho. He's a con artist and when he's in... I think it was Spain... doing a job, or something, I don't know what... a mermaid comes to shore and ends up camping in his apartment. And so, after being annoyed at her at first, he comes to find her oddly endearing, of course. (He doesn't know she's a mermaid or anything, just that she's... oddly endearing.) And they hit it off.... but then... something happens (I don't want to totally spoil this part, as if any of you will actually watch it! Ha!) and it all ends. He goes back to Korea. She swims the ocean and follows him. And so it begins again in Korea. This time, with much more interesting results. Ah... it's the best. It really is. And it's not just about the love story, but about some other crap that ties LMH (his character is called Joon Jae) with some shady goings on due to his dumb step mom.... and some awful dude that she has employed to do bad things. Oh, and then there's the whole flash back story to an earlier time period... where the characters are having the same sort of experience as our present characters. In other words... they are characters from the pats that have been reincarnated. Sweet. But, as usual, I mostly loved the love story. 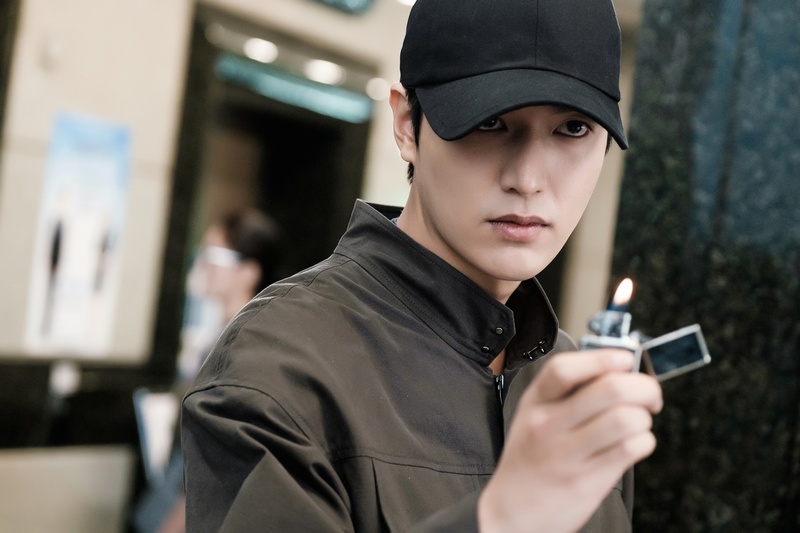 The side kicks (of which there are many), the funny situational comedy, the sweet and perfect sappiness, and especially Lee Min Ho, who I somehow cannot get enough of. And sadly, this might be it for awhile as it's time for him to go off and serve is country! Ah.. the dreaded military service! Well. Anyway. Let's just say: I LOVED THIS ONE!!!! This is one of those dramas that aired and everyone was raving about it and I decided to wait until it was all done and out before I watched it. So that's what I did and then it ended up taking me forever to watch it anyway, so I should have just started it with the crowd when it was airing! 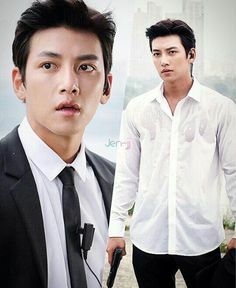 Even though it stars one of the best Korean actors out there, the storyline bogged for me! AH! GASP! NO! But yes, it was way too heavy in the political intrigue for me and focused on the lady who all this intrigue was centered around. And I found her character boring and way too unsympathetic to get into. 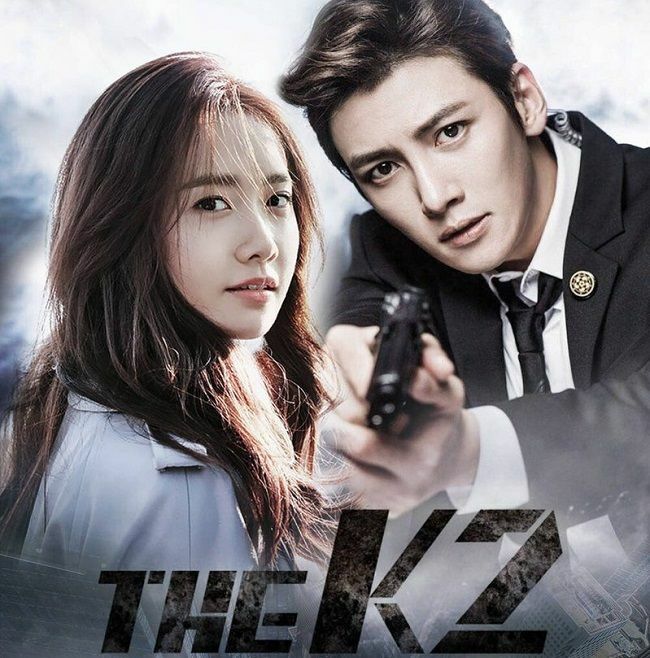 And so I fought sleep during all the times she was onscreen and all I could think was... more of the K2 please!! In the beginning before he becomes K2, he looks like this. And then, he looks like this. Anyway, when K2 comes to work for the mom, he meets the girl.... her name is Anna, and finds himself oddly drawn to her even though she doesn't come out or talk or anything. And so it goes from there. The story gets very complicated. Anna learns a ton of not so great stuff about what happened when she was a kid, and her dad is a mess and part of her problem. K2 gets himself all wrapped up in their lives whether he wants to or not and then.... in the end... it came down to a final crazy finale! So yeah, much of the time I was yawning. But that ending was CRAZY! And even had me a little weepy after all! There's a lot and I mean A LOT of fighting and violence in this one. Sometimes it's kind of cool and really well choreographed (are you one who loves a good choreographed fight scene? I like 'em... but not like, every other scene!!!) and other times they were just... boring. Oh, and it was also heavy on the shaky cam, which sometimes I didn't notice and other times mad me crazy! Ah! Still, it will go down as one of my least favorite dramas to date, sadly. This is the second book in the Iluminae Files. 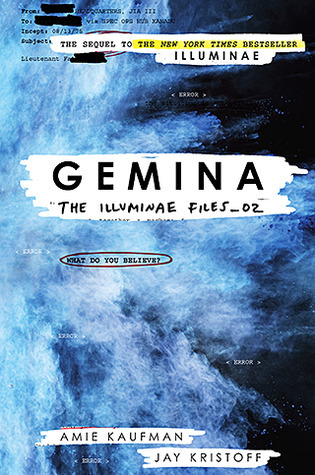 This one is a different part of the story, showing what's happening in another part of the universe during the same events as the first book, Illuminae. Which means we have a whole new set of characters. Even though the first set pops in and out just a bit. This one follows the tradition of the first book in that the story is told using documents. Such as, emails, texts, surveillance camera footage, journal entries, and etc. It takes maybe a page or two to get the flow of this method, but I think readers fall into the rhythm of it really fast. And once again, I find it a really fun way to tell a story. It's so unique and fascinating really. Our heroine is the daughter of the leader of this space station and she is one spunky girl. She loves this one dude, but he turns out to be... not so good, and the dude she thinks is not so good, turns out to be the one she really likes. Of course. And she learns all this throughout the course of the events that happen after the take over, which is stressful because she, of course, is the only one who can save the day. So she sort of has her hands full. It's so very complicated and much much more intense than I can articulate. But let me just say, whew, these are violent books. Let that be a warning to those with queasy and/or weak stomachs. Violent I'm telling you! So once again, I was sucked in and loved this story. I'm anxious to read more and see how it all ends, because of course, there is so much more of this story to tell! So now I wait another year I'm guessing! 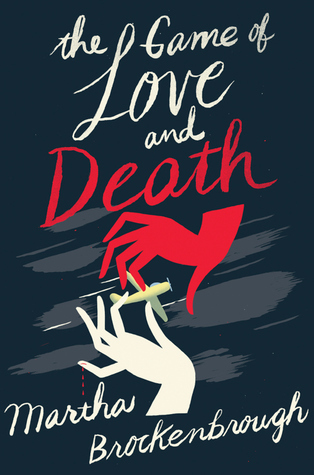 A fascinating story about Love and Death who have a competition to see who can win the souls of these two characters. Death's player is the girl, and Love's player is the boy. The idea is if they fall in love, then Love wins. And if they don't then Death wins. Or something like that. I was a bit confused sometimes. But that's the gist of it. Anyway. they can personify themselves as all sorts of things... animals...people that the boy and girl actually know.... new people in their lives. Etc. Which seems a little unfair. And they can manipulate situations to however they see fit to make stuff happen that helps their cause. So frustrating. And maddening. I didn't really like them as characters but they became more and more endearing as the story went on. I really enjoyed the writing and thought it beautiful and powerful. All the trigger issues were thrown in here though... race and LGBT stuff. Which, is okay, but I hate it when it feels... you know... thrown in. It takes place in the 30s and has a fun musical element with black jazz bars being the central setting. Which I enjoyed too. And lots of nods to Amelia Earhart who our heroine aspires to be. Good stuff. Anyway. A fun book to start off the year. A very unique look at life and love. Their Fractured Light by Amie Kaufman and Meagan Spooner: Yeah, these books are dripping with both awesome plot and awesome characters. The Winner's Kiss by Marie Rutkoski: But it's so good. And awesome. And fulfilled all my hopes and dreams. Which statement is probably in and of itself a spoiler, but there you go. I was happy with this book and this ending. Summerlost by Ally Condie: It's cute simple story that deals with the not so simple subject of grief. and it's so so awesome. I loved it. Winter by Marissa Meyer: Would you love an extremely fun mash up of fairy tale retellings and genres? Then you MUST read this series! Emmy and Oliver by Robin Benway: I read it in a day and could not put it down. I have a feeling you'll do the same. Mosquitoland by David Arnold: The best thing about this is the voice of Mim. You know, when you are learning to write, they talk a lot about voice. Let this book be an example of one really awesome voice! Wow! Mim is feisty and fierce and smart and witty and very very intense. Also a little messed up. And that is what makes this book so so good. All the Light We Cannot See by Anthony Doerr: The storytelling was awesome. The writing was beautiful. The characters were fascinating. And it held my wandering and unfocused attention unlike any book has done for a long time. P.S. I Like You by Kasie West: This sort of book is exactly the sort of book that I'm in the mood for these days. Just a fun simple romance, with a bit of drama thrown in. The Immortal Throne by Bree Despain: How the HECK are they all going to get out of this mess? Well, of course they figure it out... not without help from unlikely places, which is awesome. And things get pretty much worse before they get better, as they always do. Finding Audrey by Sophie Kinsella: I loved what this book has to say about recovering from mental health issues... that it's like a jagged graph... up and and down, then up some more than down some more. That that really, for all us, mental health issues or not (and don't we all have mental health issues?) this is what life it like, and all we can do is keep trying and keep plugging along. Yes, some pretty great books here! Here's a new year of reading! I'm about 50 books behind my normal. When I say slump, I mean slump. But the trend for reading still pretty much followed the same pattern. Even with the slump, I read more nonfiction and classics than normal. What I really missed because of the slump: some adult fantasy/science fiction books. I only did one read along this year. I missed doing more of those too. I have a huge pile of books to get to this year. Here's hoping that my focus for reading gets better and my desire to read comes back, and my time for reading can be rediscovered! I really love YA contemporaries! subjects/ideas/plans for future videos for this year is a long long list. I feel like all my ideas for what to talk about regarding books just switched to kpop music. It's a bit of a whiplash feeling. Even with the slump, I've definitely had a fun year. Here's to the next one! I'd love to find a balance between the two passions! Wish me luck! !